How do I setup my Cent Wallet? To setup your brand new Cent Wallet you have to access Cent using a Web3 supported browser. This means that if you are using Google Chrome or Firefox on desktop you should install the MetaMask extension. If you are on mobile you can download and install either Coinbase Wallet or Trust Wallet, since those apps both have an integrated dApp browser. Note: If you don’t have MetaMask, Coinbase Wallet, or Trust (or you are unfamiliar with them) please check out the links and explainer video here in 'Help’. Now that you have access to Web3 [Note: make sure to login to MetaMask first if you are using it] go to the Cent Menu and click Account > Wallet > Setup. You will be asked to sign a message. This is simply to confirm that you own the address you are signing with and it is free. Now your Cent Wallet is configured. So as long as you have already deposited ETH into your Cent Wallet, whenever you want to make a tip, post a bounty or withdraw your earned ETH you will simply be asked to sign a message using the authorized address that you entered in the previous step. 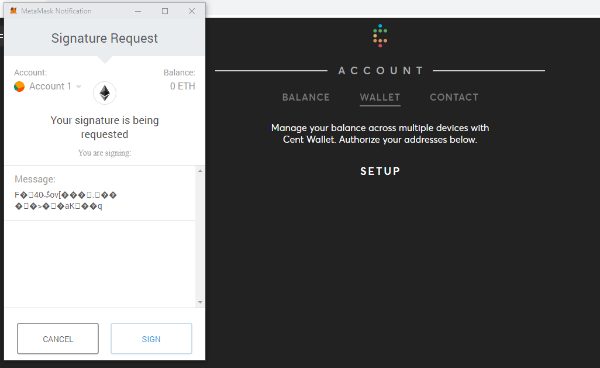 How do I add ETH to Cent Wallet? 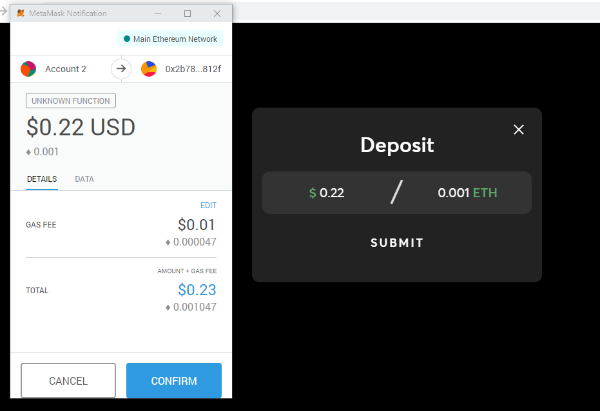 To add ETH, go to the Cent Menu and click Account > Balance > Deposit then enter the amount of ETH you would like to deposit. What about posting a bounty or sending a tip? This is where the magic of Cent Wallet and the state channels it is built on really shine. 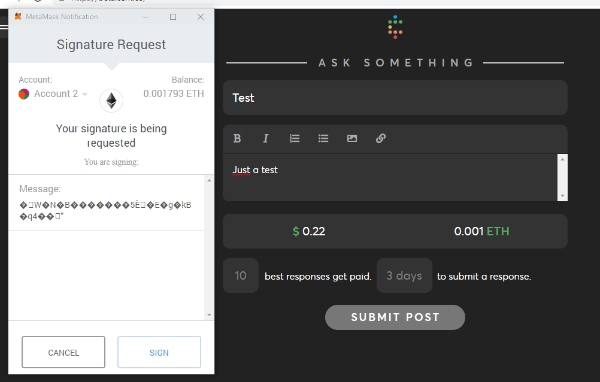 As long as you have ETH in your Cent Wallet, when you want to post a bounty or tip a response all you need to do is sign a message with your authorized address. That's it. After you sign the message the funds will be taken from your Cent Wallet and sent to the Cent smart contract or to the Cent Wallet of another user. 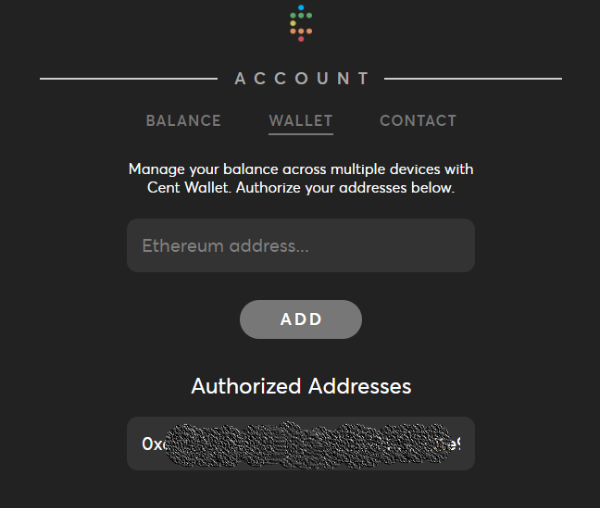 No more waiting for annoying network confirmations every time you want to send ETH. Many thanks to fellow Centian @FergHex for putting this Cent Wallet guide together. Only slight edits have been made to the original submission made in this bounty. Thanks to Max Brody and Cameron Hejazi. The income-generating social network, enabling anyone to earn money by sharing their wisdom and creativity. Built on Ethereum. Join now at https://beta.cent.co.